[toc]Shingles is a skin condition, which is common more in the age group of above 50. The main reason is weak immune system. It is caused by the same virus that causes chicken pox. This virus doesn’t leave even after the chicken pox has been cured. Years later it attacks the body again in the form of shingles. The symptoms related to shingles are bouts of itching, painful rashes and sometimes blisters too. Feeling feverish is one more symptom of shingles. There are some home remedies which can help treat the condition, some of which are listed below. Corn starch and baking soda are both very effective in the condition of shingles. The blisters caused due to shingles have to be treated to avoid scratching and breaking it. 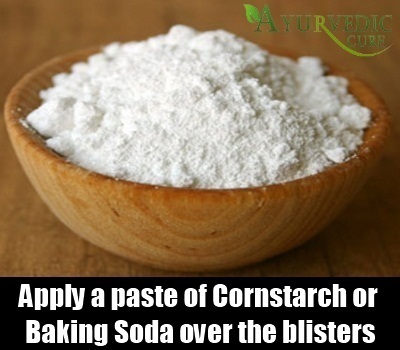 Make a paste of cornstarch or baking soda and apply it over the blisters. Leave it there overnight. In the morning wash and rinse the area with cool flowing water. Do this for a couple of days. The blisters will dry and fall off on their own and the rashes too will vanish. We are all aware of the cooling properties of the mint leaves. Apart from the cooling effect it is also a very effective healer. These properties of mint make it a good remedy for shingles. 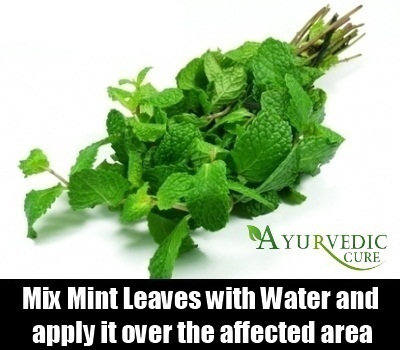 Make a paste of mint leaves mixing it with water. Apply this paste over the rashes and blisters caused due to shingles. Let the paste be there for 10 minutes. Rinse it with cool water and feel the relief immediately. Repeat this process twice a day. Scary as it may sound, but cayenne pepper is good for shingles. They are available as capsules which can be taken twice a day. Another way to use cayenne pepper is to mix the powder with any body lotion or moisturizing creams and applied over the blisters. Apply this homemade lotion several times a day for good and quick results. 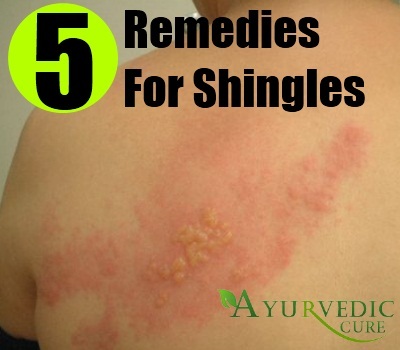 Once you are affected with shingles, the first thing that you are seeking is freedom from the itching and pain. Ice is a marvelous remedy for that. 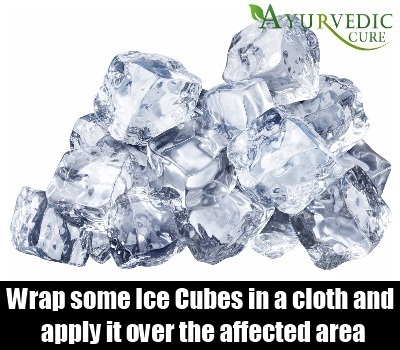 Take some ice cubes wrap them in a cloth and use it over the blisters and rashes continuously without lifting it. Just slide it from one position to the other. Keep doing this for ten minutes, then take it off and start doing this again after a break of five minutes. Repeat the process for 8 to 10 times. Do this ice therapy three to four times a day. Honey is known to be a universal healer. From ordinary cuts and wounds to skin ailments honey is very effective. The same can be said about Aloe Vera. This combination is a good remedy to cure shingles. 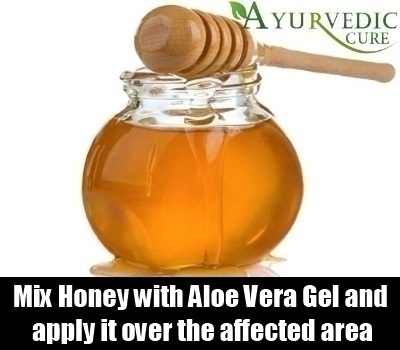 Take two table spoons of honey and equal quantity of Aloe Vera gel. 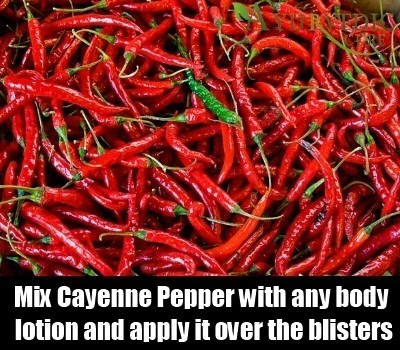 Mix them well and apply it over the rashes and blisters. Let the paste settle there for 10 minutes. Then rinse it with cool water. The itching sensation will almost immediately disappear.